With increasing age , the mimic and gravitational forces show their impacts in the face area. The mimic leaves wrinkles on corresponding areas. Typical mimic-wrinkles, are for example frown lines and crow’s feet wrinkels, which arise trough too strong mimic. But also end-wrinkles, mouth-wrinkles, chin-wrinkles and nose-wrinkles are caused trough mimical movements of the face. 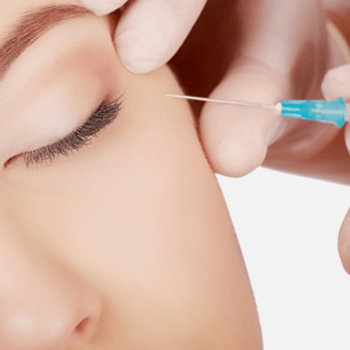 Botox , also known as Botulinumtoxin is used by us in the area of the forehead and eyes. Botulinumtoxin / Botox, is a natural bacteriumtoxin, which is used in certain theraphies against musclecramps. Wrinkles are caused by the use of muscles, in the face, around the eye and forehead region, also if you smile, your skin is stretching and looses its tension. With the muscle tension we can smooth your skin. The duration of effect amounts to 3 and 6 months. The result of the treatment is immediatly visible and keeps fresh with occasionally aftercare. All injection treatments are painless and ambulant accomplished.